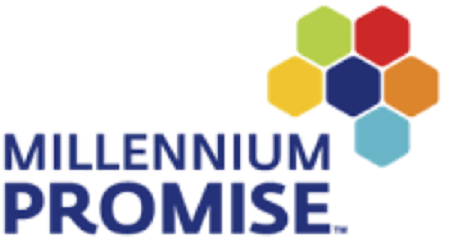 The mission of Millennium Promise (MP) is to advance sustainable development in communities across rural Africa using innovative solutions and scalable systems aimed at achieving the Sustainable Development Goals including the end of extreme poverty. Today MP builds on the experience gained from the Millennium Villages Project (MVP) to implement the SDGs at the sub-national level using innovative solutions and scalable systems through several initiatives, including the Sustainable Districts Program, Connect To Learn, 1 Million Community Health Workers Campaign, and Lead Farmer Program. The Software Developer based in Dakar will provide support for various projects to create dashboards and other data-display tools as needed in order for MP to become a pioneer of exemplary real-time information systems for SDGs. These tools would be utilized to manage and improve operational decision-making, and integrate information across and within programs/sectors to ensure MP becomes a pioneer of big data collection, management, and visualization for the SDGs. This will require a highly skilled and adaptable Software Developer. • Ability to implement and troubleshoot programming changes and modifications, to program, configure, manage, and maintain the operation of complex relational databases. • Knowledge of computer and / or network security systems, applications, and hardware. • Knowledge of data integrity methods and techniques. • Ability to perform acceptance testing on computer systems, applications, and hardware. • Ability to install, maintain, modify, and upgrade database software. • The position is responsible to the Regional Director of M & E in Dakar. • No responsibility for budgets or assets. • Bachelors’ Degree (or higher degree) in Information and Communication Technology, Computer Science, Computer Engineering or related field. • At least 5-7 years’ work experience in software development. • Excellent knowledge and work experience on designing and developing complex software applications. • The incumbent should have a solid knowledge of infrastructure-related subjects, such as Linux-based server software, CDNs, caching proxies, vertical and horizontal scaling, and communication protocols/encryption. • Applicant should have a strong background in Systems design and implementation, (modeling and documentation), including knowledge and experience with Systems lifecycle development methodologies. • Mobile development experience (iOS and Android), information visualization, storytelling through web videos, diagrams and illustration. • Strong communication, problem solving skills and the ability to meet deadlines in a fast paced environment. • Excellent interpersonal, oral and written communication skills including the ability to give clear and concise presentations of complex material. • Ability to work well both independently and as part of a team. • Demonstrated ability to establish priorities and manage multiple tasks with changing deadlines in a fast paced environment. • Excellent facilitation (and presentation) skills. Being bi-lingual in French and English languages is a major asset. Application procedure: Candidates should send an application, including a cover letter and a detailed CV with the following information: Name, surname, gender, date of birth, family status, nationality, certificates obtained, professional experience, language skills (French/English), and the names and addresses, including telephone / email) of three referees). To apply: send cover letter and CV by cob April 30th, 2017 to: [email protected] with the mention of the position title in the email subject line.